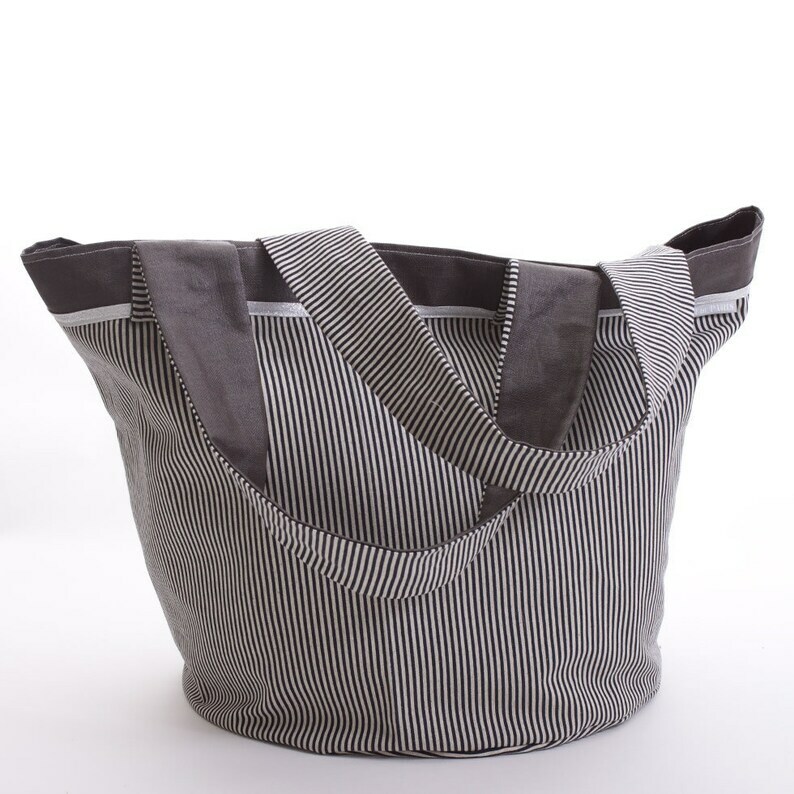 -Fabric in cotton and linen printed with black stripes and mastic, lined in anthracite grey coated linen and adorned with a flap with silver bias. 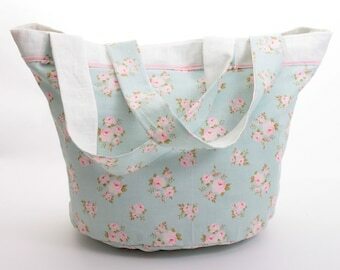 The handles are also lined in coated linen. Fabric has grey and black stripes. Cotton fabric printed hard PuTTY dots on blue background.